Why yes, you’re seeing that correctly! That’s TWO new, coordinating patterns from yours truly. I’m kicking off the new year with two patterns I’ve dubbed Funkasonic for their mesmerizing use of stripes! While they’re officially being released in my pattern shop on Friday, January 15, I’ve teamed up with PostStitch and Ewe Ewe Yarns to bring you a super special knit along with these two totally funky patterns this January. To read about each of the new patterns, check out the captions below each individual photo below, and to learn all about the knit along, keep scrolling for a schedule, supplies info, and even a giveaway and coupon code for PostStitch to help you get on board! The Funkasonic Knit Along (#funkasonicKAL) will take place here at Hands Occupied home base, featuring regular tutorial posts to help you build your knitting skills in the new year with helpful video tutorials by yours truly. There will also be an active thread in my Ravelry Group for even more discussion, resources for if you get stuck, and of course – sharing pics of your finished knits! * Dang, I do love a good KAL, and what better way to start the new year? 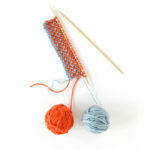 You can absolutely knit along with just one of the two Funkasonic patterns. If you’re new to garments, you might want to try your hands at just the mittens. If you’re looking for more of a challenge, maybe the mukluks are for you. Simply a knitting fiend? (I may fall into this category.) Challenge yourself to finishing both patterns in a month. 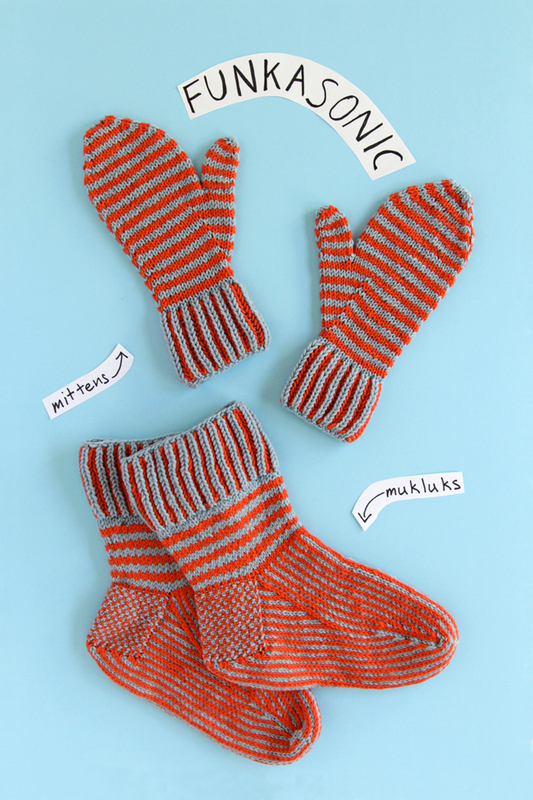 Until January 15, both the Funkasonic Mittens and Mukluks are available exclusively through PostStitch. PostStich puts out two boxes a month, each of which includes everything you need to make a given pattern from start to finish (including notions, needles, pattern and even some extra treats too). 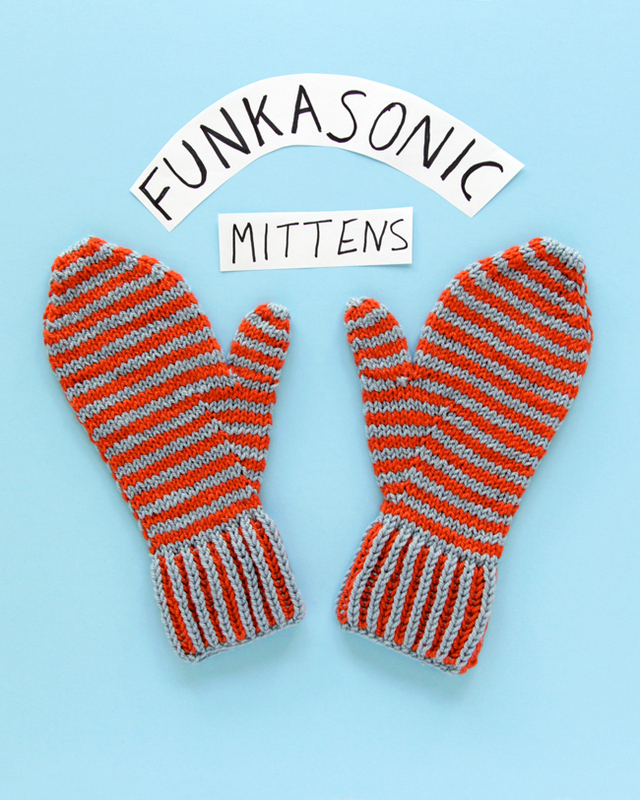 The Funkasonic Mittens are January’s featured BigStitch Box pattern. 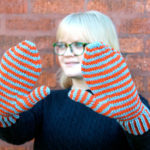 A BigStitch Subscription is $60/month and features an adult woman’s accessory project – in this case, my mittens! I have it on good authority that this box includes adorable stitch marker, a stitch holder and two fun extras. PostStitch’s SockStitch box features an adult woman’s sock pattern every month, and my new Mukluks pattern is the star this time around. At just $40/month, this is a great deal. The box includes: the printed pattern, yarn specified by the pattern, and special notions. 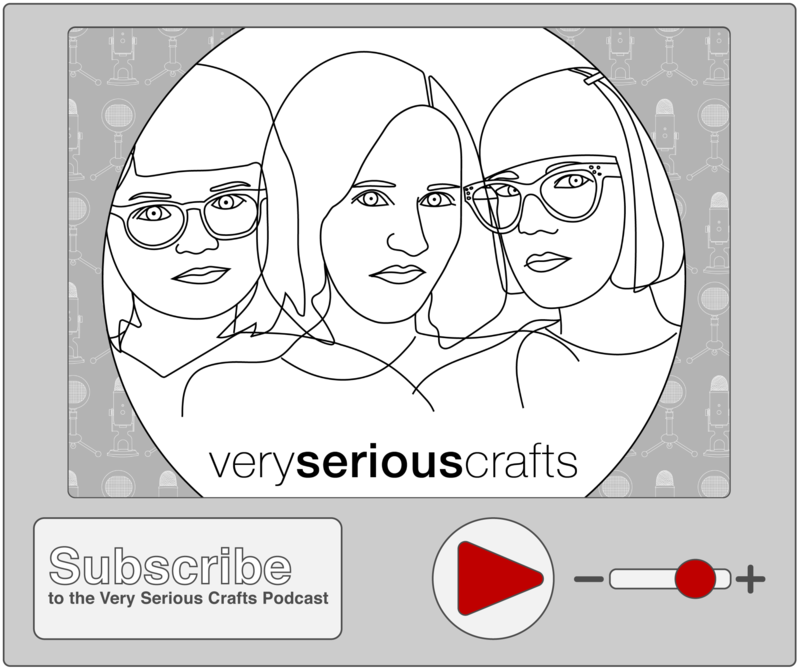 Once you sign up you’re automatically enrolled in PostStitch and will be rebilled on the last day of the month and box will ship the following day (unless of course you purchase a multi-month subscription). Subscribers can cancel at any time, skip a month, or toggle back and forth between BigStitch and SockStitch. 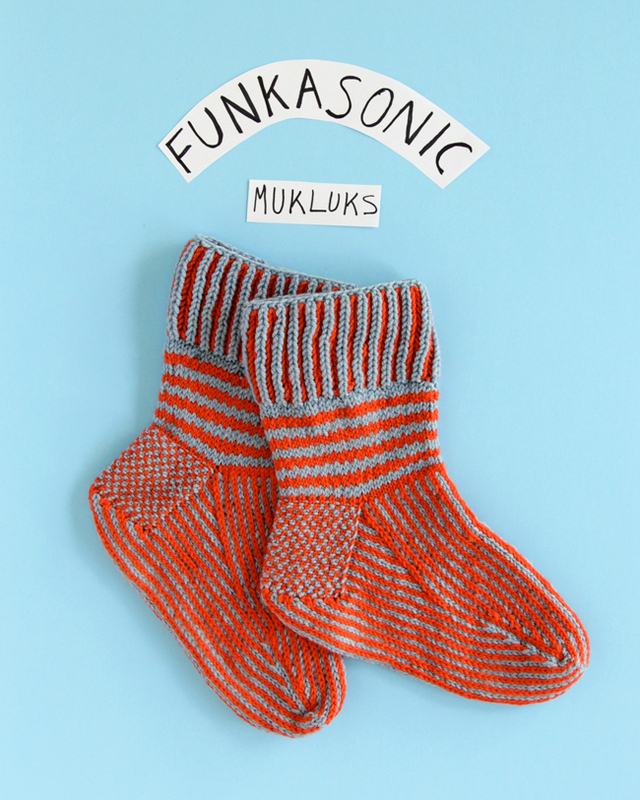 Funkasonic Mukluks take advantage of slipped stitches and stranded colorwork to create a thick, warm fabric. The warmth and stretchy brioche cuffs make them great to wear as slipper socks or with boots that could use an added layer of insulation on cold days. Enter to win $60 at PostStitch! Still not convinced this knit along is right for you? PostStitch has generously upped the ante by giving away $60 to their site, so you can get your hands on the box of your choice – and maybe some notions while you’re at it. And hey! Let’s say you’re not patient enough to wait a week for this giveaway to end. Use HANDS15 to celebrate the end of 2015 and get $10 off at PostStitch. Cheers! The giveaway prize is furnished by PostStich. Opinions are my own. See giveaway widget for official giveaways terms & conditions.